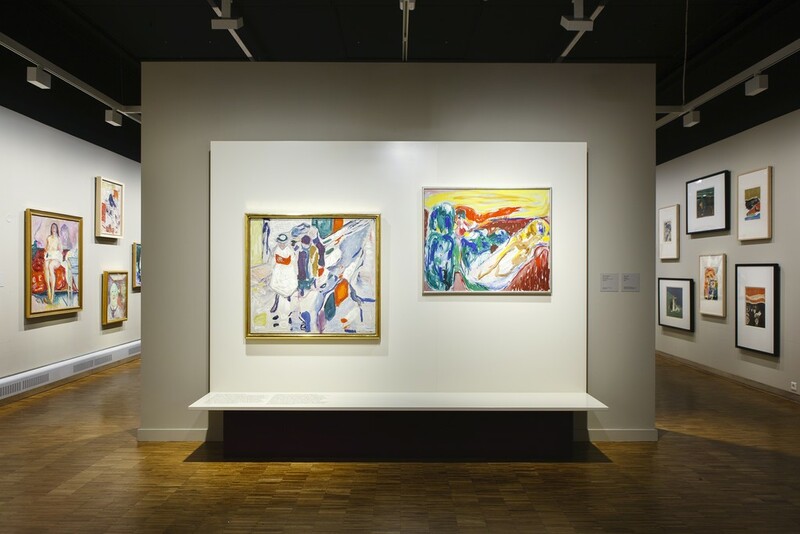 As a young artist, Asger Jorn (1914-73) was part of the avant-garde and surrealistic artist scene in Copenhagen in the 1930s. However, it was not before he was in his forties that Jorn found his personal artistic means of expression. Immediately after peace was declared in 1945, Jorn travelled, aged just 30, to Oslo to see an extensive retrospective of Edvard Munch's works at the National Gallery. 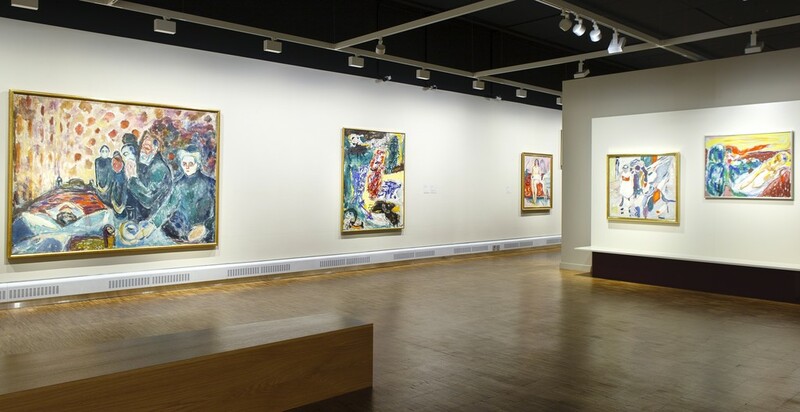 Munch's name and art were well known on the international art scene when he died in 1944. Like today, it was his works from the 1890s for which he was best known. 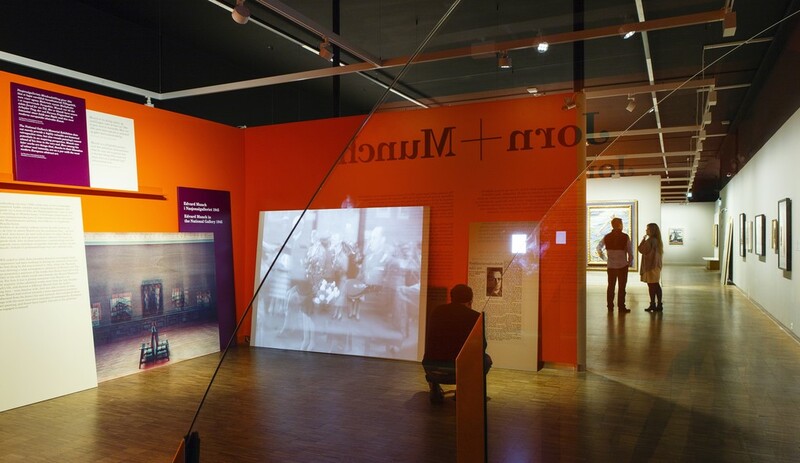 However, the exhibition at the National Gallery primarily featured works from the later period of Munch's body of works, in other words from the period after the turn of the century. Jorn was already very familiar with Munch's earlier art, but Munch's later works surprised him and made an impression. In the later Munch, Jorn discovered a painter with a direct, spontaneous and intense form of expression. This form of expression resonated with the young artist who at the time had a background from surrealism's spontaneous painting. 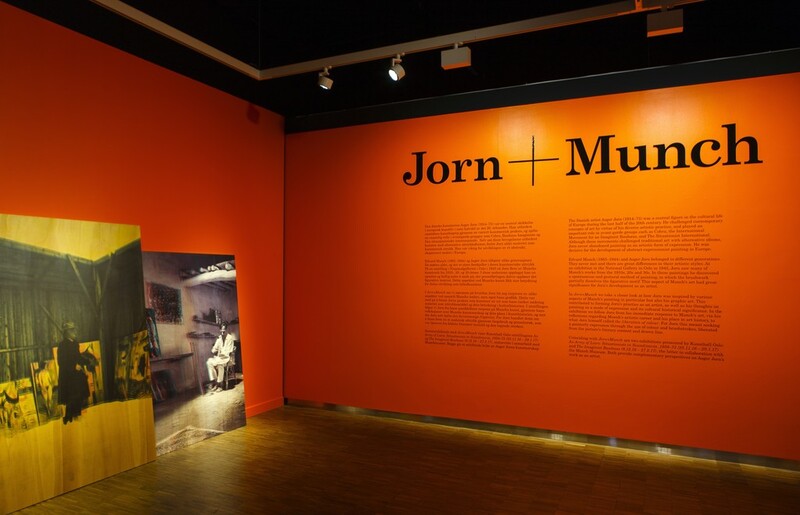 The artistic liberation that Jorn finds in Munch is the main theme of the Jorn+Munch exhibition. One should be cautious about drawing simple conclusions about artistic influence. 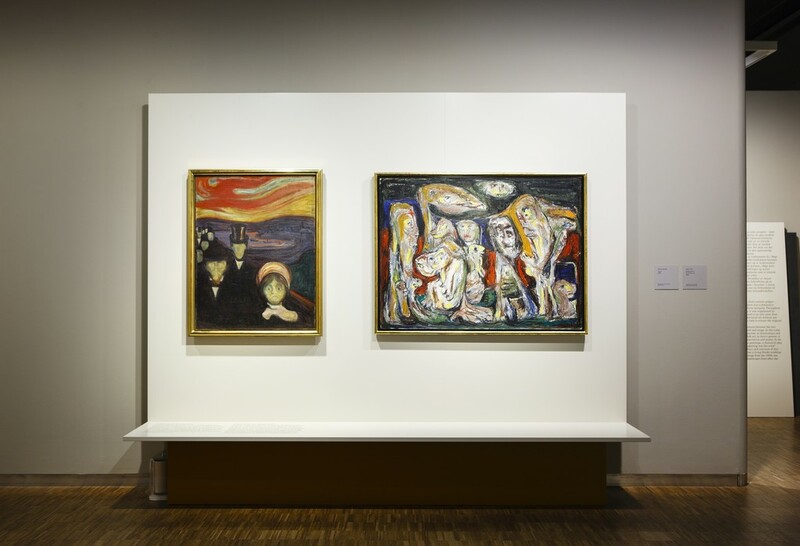 The differences between Munch and Jorn are more immediately eye-catching than the similarities. For example, their works differ from each other when it comes to the artists' technique and visual expression, and there are no immediate similarities in their motifs. 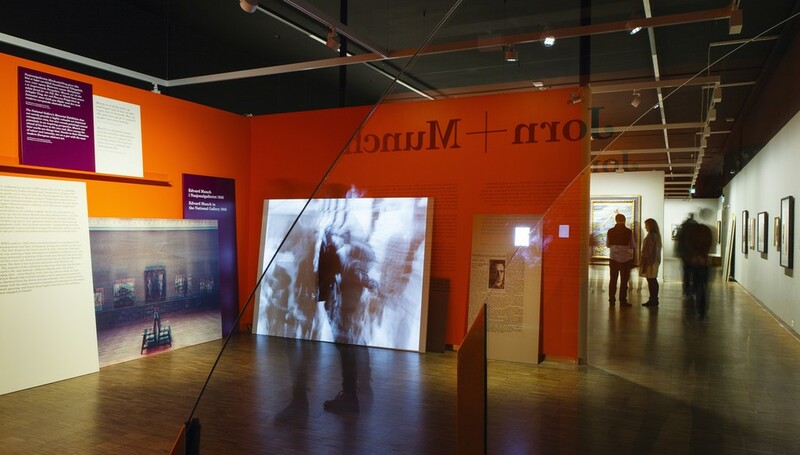 Nonetheless, it is possible to demonstrate that a change takes place in Jorn's works after he saw Munch's art in the National Gallery. 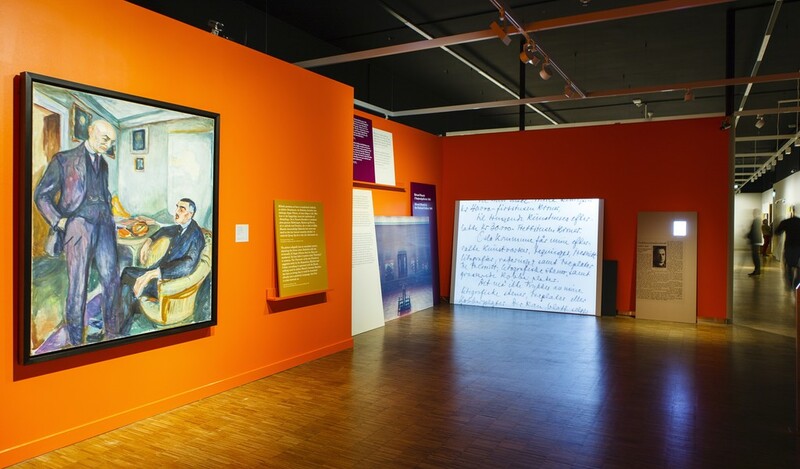 Jorn was particularly interested in Munch's intense use of colour and his direct and gestural manner in the works from after the turn of the century. He was also inspired by the organic and curved lines one finds in Munch's works from the 1890s. Jorn's visual expression and manner change markedly in this period. Jorn's relationship with Munch is not just expressed through formal points in common. One can also discern a deeper thematic and artistic connection between the two artists. 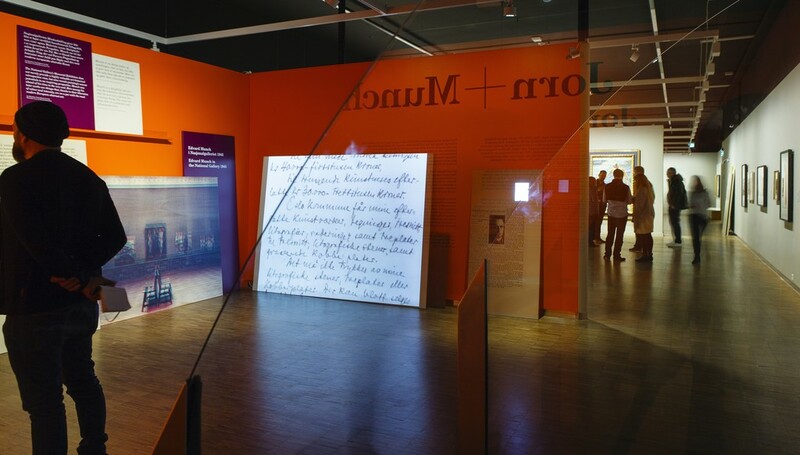 Jorn has commented on this connection in writing, but he also expresses it by quoting from certain motif and composition forms of Munch's in some places. From the end of the 1940s, and for many years after that, Munch appears to have been a challenging and important reference point for Jorn's body of works; not that this means Munch can be considered the key to fully explaining Jorn's art. 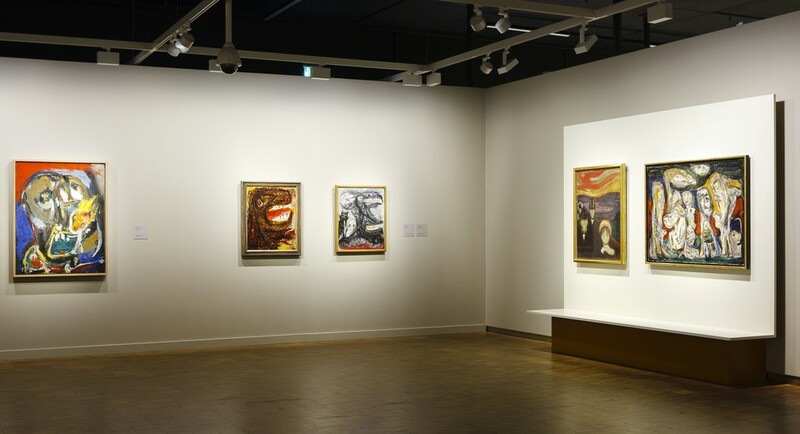 In a larger perspective, this exhibition looks more closely at Munch's significance in the development of the modernistic painting in the latter half of the 20th century, as well as how Munch, as one of many, has influenced later generations of artists, in this case Asger Jorn.